Research has consistently proven that music and art education build vital critical thinking skills in children. At Carolyn Clark, all our students have access to art. Arts Attack, a video-based art curriculum system, is used in Kindergarten through 6th grade. This program is designed to teach each child how to express themselves through art and see and experience the world in different ways. The language of art, like the language of words, requires the learning of skills and concepts that will allow the free flow of expression. The goals of Arts Attack are to teach the elements and principles of art and drawing in a developmental and sequential way, as well as to study the art of other artists, cultures and historical periods. Upper grade students participate in an additional art program. Through the Evergreen Elementary School District, an art teacher visits our 4th through 6th graders on a weekly basis. Jimmy Biala is a professional music educator and performer who brings his Brazilian percussion music program to Carolyn Clark students in the fall. He has a strong passion for the style of Brazilian music known as escola de samba and has performed in China, Taiwan, Germany, France, Canada and the United States. Performances are important and all students are expected to perform in the three concerts in December, May and a combined program concert at Quimby Oak Middle School at the end of the school year. Registration and classes begin in September. For more information and to register, visit Mr. Ortega's Band Program website . Or email Mr. Ortega. Students in grades 1-6 have the opportunity to participate in theater arts through our school plays. The after school drama program allows students to fully experience being a part of a theater production from auditions, to rehearsals, to the excitement of the performance, and finally, the reward of applause for a job well done. Every student who auditions is guaranteed a part in the play. Students work hard to hone their acting, singing and dancing skills over the course of a 3 month period. In recent years, we have had the benefit of the directional talent of Norcal. The program also relies heavily on parent volunteers in order to run smoothly. There is one production each year. In the fall, students in grades 1-6 start work on the upper grade play culminating in a week of performances in mid-December. This is always a wonderful experience for the children so be on the look-out for details about each play. Carolyn Clark students are superstars and the Talent Show is the event where they can showcase their talents. All students audition and if accepted perform in two assemblies and one evening show. Throughout the year, Carolyn Clark offers 1st – 6th graders hands-on, one-hour after school science programs themed around a particular area of science. Topics include such areas as rocketry, magnets, polymers and even the science of toys. Children engage in exciting hands-on activities, watch spectacular demonstrations, participate in inquiry-based discussions and take home things that they have made themselves like model rockets, periscopes, Mad Science putty and more. Mad Science after-school programs offer children a chance to see just how cool science can be. Look for e-flyers from PeachJar for more information, and details on how to register for this program. Each year all the 5th grade students attend Walden West Science Camp, located on 32 acres in the foothills of the Santa Cruz mountains near Saratoga, California. During the one week long program, students and teachers live and learn outdoors with guidance from experienced field instructors. Walden West promotes hands-on science learning that emphasizes life sciences and sustainable living practices. Lessons in the natural sciences come to life, helping students better understand and appreciate their world. During their stay, students will have full access to the wooded trails in Sanborn County Park, which provides an additional 6,000 acres of study area. They will enjoy learning about the forest, meadow, and stream communities through the use of games and other activities. Qualified naturalists will use their expertise to help children see the interrelationships between plants and animals as well as the effect we have on the environment. The Walden West site provides everything needed to assure your child's comfort. The facility includes a dining hall, shower room, infirmary, as well as cabins that are carpeted, heated, and furnished with wooden bunks and mattresses. The students will be eating nutritional and tasty food. Students serve themselves during family style meals and are encouraged to eat as much as they would like. The cooks are experienced in preparing and serving balanced meals and help make sure your child's needs are met. This experience is social as well as academic. Students also develop their social and leadership skills at Walden West living 24 hours a day with other students requires your child to cooperate and work together with others toward common goals. Friendships that are made during this week will last a lifetime. For more information, please visit the Walden West website. The Evergreen District Science Fair is held every year in March. Each grade has chosen a STEM project for their classroom. Students work in a team to complete the challenge. The teams then compete against one another for best design. The winning team from each grade level represents the school at the District Science Fair. For more information, please contact your classroom’s teacher. A team of Carolyn Clark students meets to learn different problem solving techniques and practice solving non-typical math problems. The Math Olympiad contest consists of 5 exams held once a month from November to March. Exams cover advanced math problems and have the same paper for 4th, 5th and 6th graders. Our Computer Science Lab has 33 computers where teachers can sign up for computer lab time an hour a week. At Carolyn Clark, our kindergarten through sixth grade students learn computer science fundamentals by participating in the Hour of Code classes with a Computer Science specialist from our school district. The ABC Program is a literature-based program addressing important issues like respect, tolerance, honesty, peaceful conflict resolution, taking a stand against bullying behaviors, and refusing to participate in gossip. Parent volunteers read specially selected books then lead discussions and activities that help teach valuable lessons related to these issues. 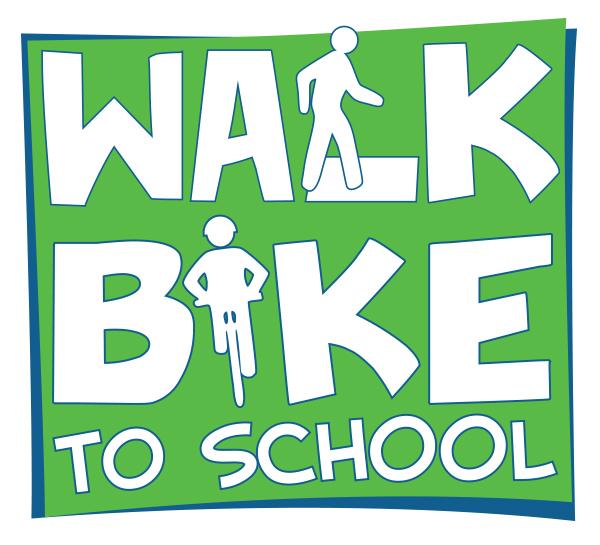 As a part of the city of San Jose's Walk n' Roll program, Carolyn Clark families are encouraged to walk or bike to school to promote daily physical activity, reduce traffic congestion around the school, and learn critical skills that enhance biking and pedestrian safety. This program is funded through the city of San Jose's Metropolitan Transportation Commission's Climate Initiative grant to increase the number of students who walk or bike to school. Since the program began in 2012, there has been a 53.5% increase in the number of students who walk and bike to school at least three times a week. Learn more about Walk n' Roll San Jose.